The 2014 Themed Art Competition exhibit is on display now through July 21. This year's theme is Birds. A public reception takes place July 21 at 7 pm. Art receptions are free and open to everyone! 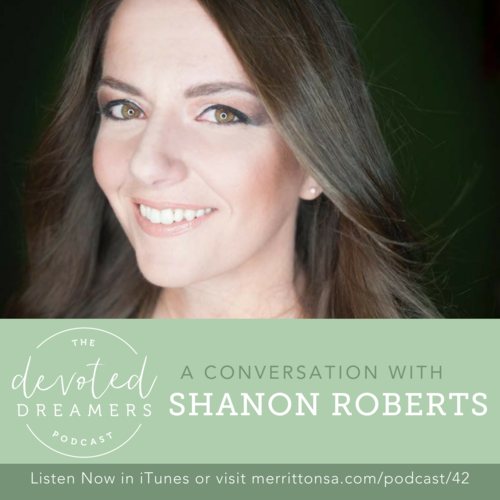 IF YOU HAVE EVER FELT LIKE YOU HAD NO TIME TO PURSUE YOUR DREAM, THIS IS THE EPISODE FOR YOU. COLUMBIA CITY — The Whitley County Chamber of Commerce & Visitors Center will feature local artist Shanon Roberts for the first “Focus on the Arts” exhibition in the new Visitors Center facility in downtown Columbia City. 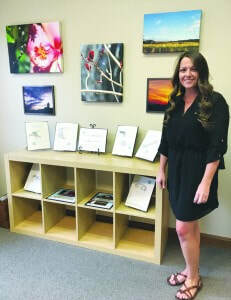 COLUMBIA CITY, INLocal artist Shanon Roberts poses with just part of her display for the first ever Chamber Focus on the Arts exhibit. 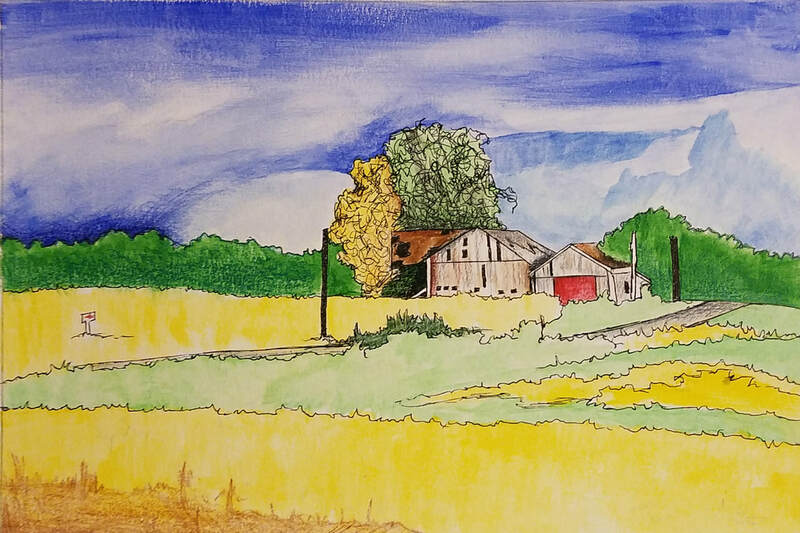 Each month a new artist will be showcasing his or her work at the Whitley County Chamber of Commerce & Visitors Center in Downtown Columbia City. 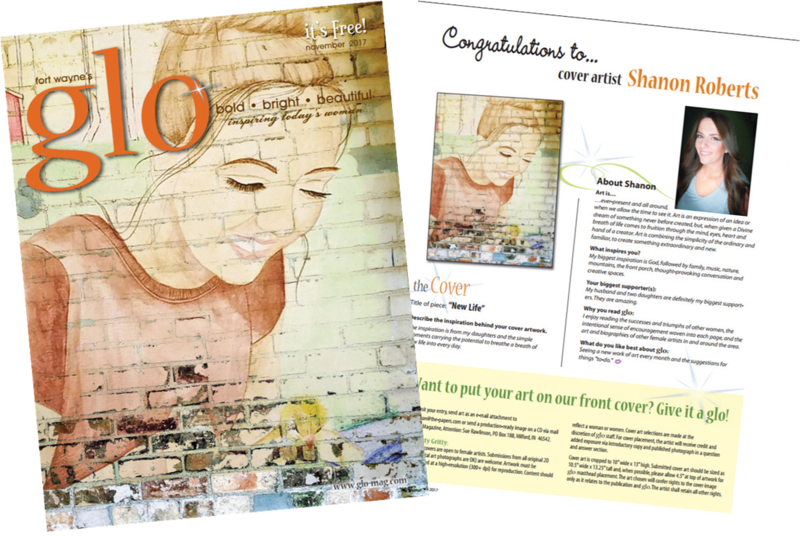 Shanon is honored to have her artwork on the cover of Fort Wayne magazine, Glo! A copy can be picked up at a variety of locations in Whitley, Kosciusko, Noble, Allen, Huntington and Wabash counties to name a few. Thank you, Glo, for allowing Shanon the opportunity to share her gift with others.